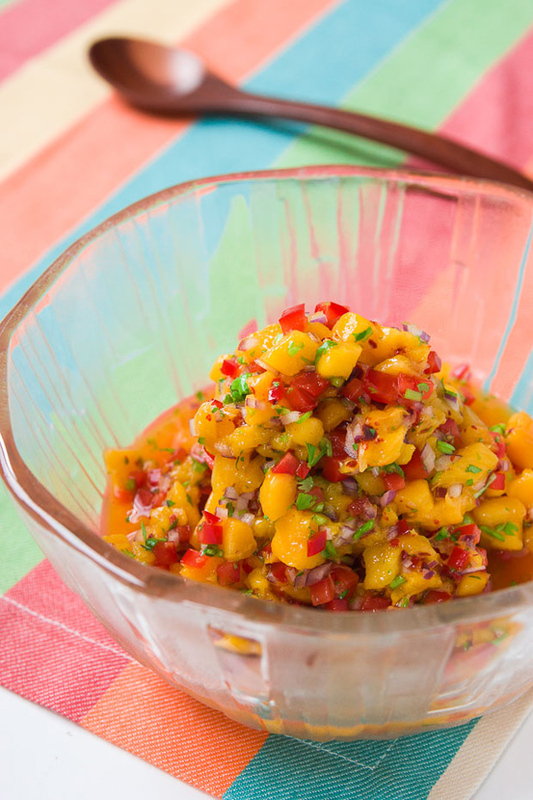 Mango salsa is one of those versatile condiments that brings almost any dish to life. Using it as a topping for tacos or quesadillas is a no brainer, but it’s also great served alongside a curry or in a meatloaf sandwich. 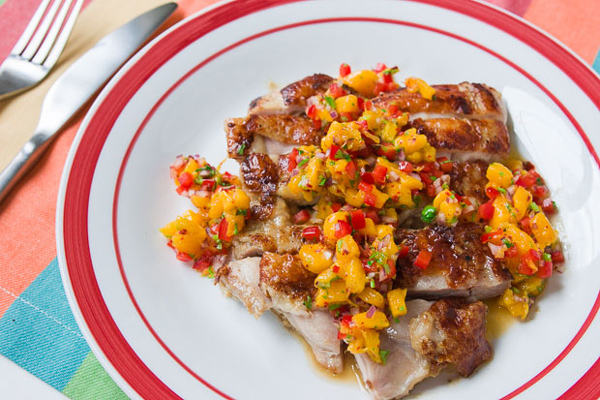 Even something as simple as a pan-fried piece of chicken or fish can turn into a memorable party-worthy dish, garnished with some mango salsa. 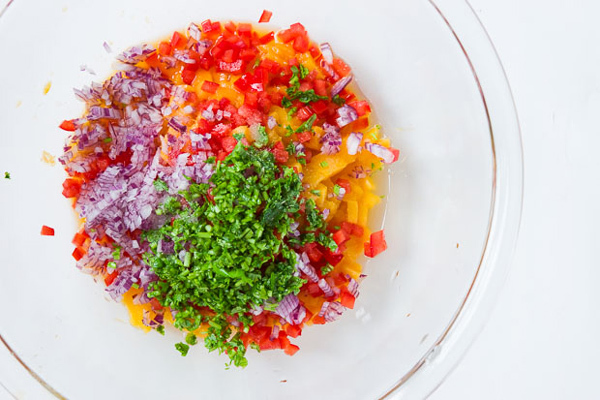 The confetti explosion of color certainly helps, but the real draw is the addictive contrast of sweet, spicy, sour and savory tastes along with a flurry of flavors and textures. This lets it pair with dishes that fall flat on their own, adding depth and breadth to each bite, which will keep your fork going back for more. Because this comes together in about five minutes, it’s the perfect way to dress up a tired weeknight meal into something flavorful and exciting. Using ripening mangos that are still just a little firm works best, mainly because they’re easier to peel and cut into cubes. Overall the recipe is pretty forgiving, so don’t feel like you need to measure out exact proportions. I’ve given the measurements as a guideline, but feel free to adjust things like the amount of chili flakes, lime juice and salt based on your own preferences and on the ripeness of the mangos. Peel the mangos using a peeler. 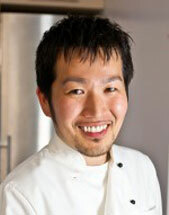 Orient the mango on its side (with the stem facing you) so that it's standing on its narrow side, not the broad side. Insert your knife just to the right of center and cut the side off, tracing the contour of the pit with your knife. Repeat with the other half. Trim off the remaining mango around the pit, and then cut the mango into 1/4-inch cubes.